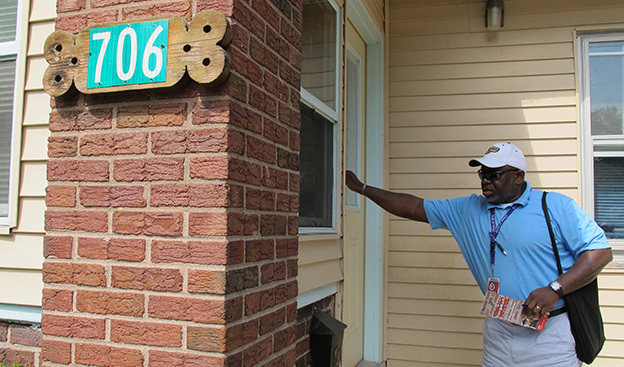 Henry Jordan, a dean at George Washington Community High School, knocks on the door of a home on Indianapolis' Near Eastside in July 2012. Jordan, an Indianapolis Public Schools employee, was part of a team canvassing the city looking to encourage IPS dropouts to re-enroll. Backed by several major players on the Indianapolis education scene, a report released Wednesday outlined 11 portions of Marion County where — the authors conclude — students are in desperate need of better access to “high-quality” schools. Researchers from IFF, a non-profit financial institution, urged local officials to improve existing schools or launch newer, better schools in these 11 “Priority Areas,” which span portions of seven of Indy’s 11 school districts. But the study’s authors come to an interesting conclusion: the 11 “Priority Areas” are also not necessarily the city’s poorest. To explain, let’s take a look at some maps. 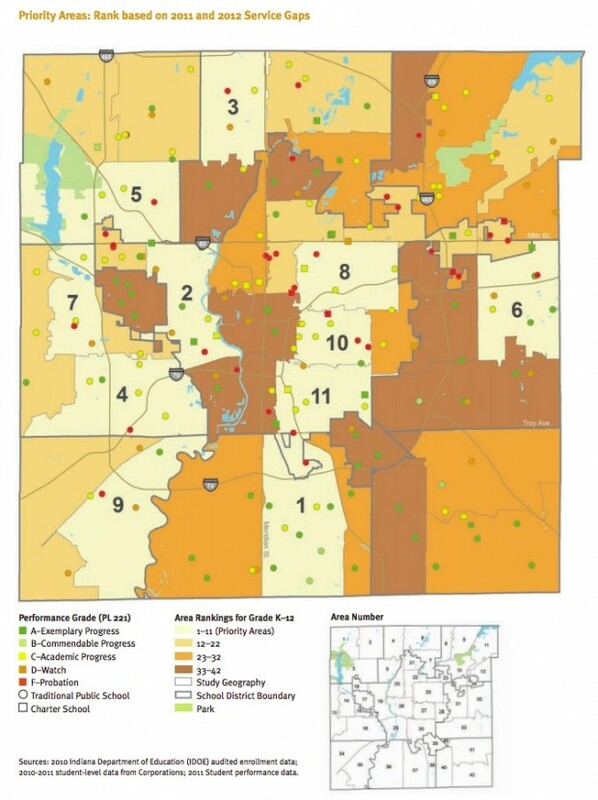 A map from included in the IFF report "The Shared Challenge of Quality Schools," which identifies what it calls 11 "Priority Areas" of Indianapolis. 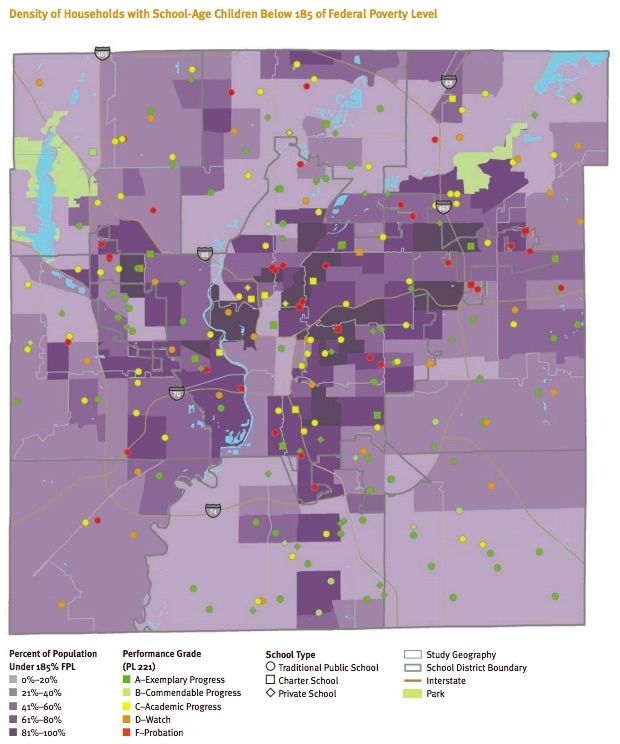 The report urges local school officials and city officials to open new schools in those areas to close gaps between the number of students in those geographic areas of the city and the number of "high quality" seats available for those children. The IFF report says those areas do not correspond with areas of high poverty. Although the Priority Areas have slightly higher rates of low-income households, that data does not support the conclusion that low-income households and underperforming schools correspond. In mapping schools by performance and type against the distribution of poverty, [the data show] high-performing schools throughout the city, across most neighborhoods. Speedway, in particular, has neighborhoods with high concentrations of low-income households and high-performing schools. 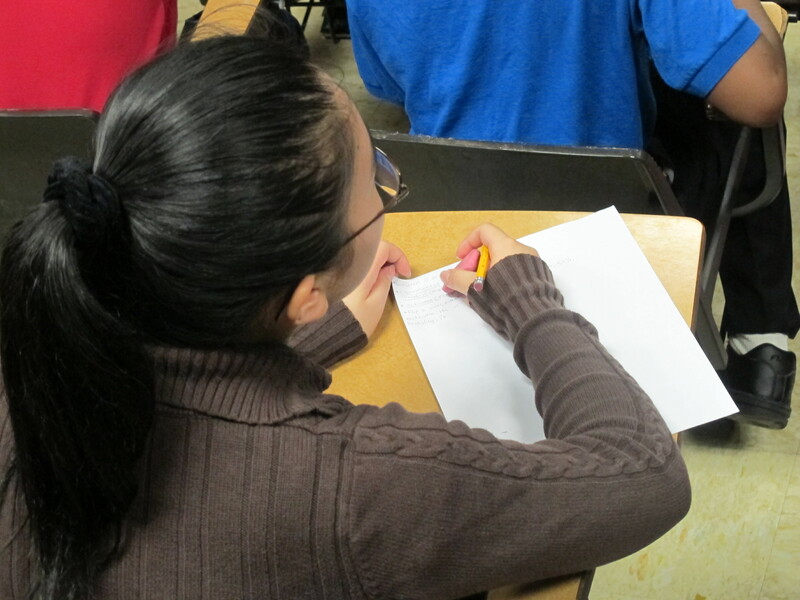 The study’s authors say in four of the “Priority Areas,” less than a third of students live in poverty. But in four other “Priority Areas,” well over half of students live in poverty. The Joyce Foundation and Walton Family Foundation funded the study. Among those who advised the study’s authors are supporters of charter schools and Indiana’s voucher program. Representatives for the Indianapolis Mayor’s Office, The Mind Trust, Stand for Children, the University of Indianapolis and other groups fill out the report’s Study Advisory Committee. The methodology used is based on the A-F Grading Model, a flawed system that is currently under revision at the Indiana Statehouse. This model does not take into account the richness of diversity that school districts in urban areas like ours so passionately embrace. The study breaks the city into 42 geographic areas, ranking them according to the number of “seats” available. Dividing Indianapolis into geographic areas does nothing more than highlight disparities in income and educational attainment level. It is not an indication of the quality of education available. 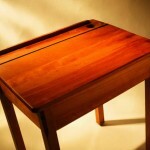 What do you think of the findings? While the report is Indianapolis-specific, would a similar study of other Indiana communities find school performance and poverty “don’t necessarily correspond”?